Tokyo-based Rei Frontier, the Japanese startup behind AI-powered user location analytics platform called SilentLog Analytics/SDK, announced today it has raised 300 million yen (about $2.7 million US) from Mitsui & Co. The investment includes a strategic partnership, which lets the startup collaborate with the trading giant to offer various mobility services according to the user’s behavioral characteristics, create new means of mobility to alleviate traffic congestion by changing people’s behavior, and design an integrated system so that people can move seamlessly between multiple ways of transportation. 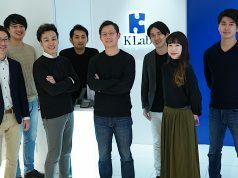 The company provides a marketing service called Silent Log Analytics enabling a new type of activity analysis by analyzing customers’ location information with artificial intelligence (AI). Companies want to know about customers and customers want companies to make optimized proposal for each, but in reality, sometimes the problem occurs where products that were purchased offline are recommended online. To solve this, Silent Log Analytics acquires 40,000 users’ activity data per day, obtaining their consent. 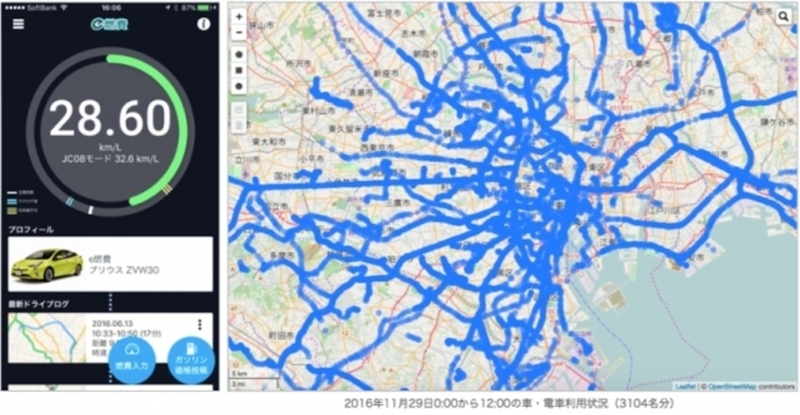 Using smartphone-mounted GPS and sensors, it determines users’ condition or social attribute. Rei Frontier gathers information and owns the accumulated knowledge that only requires 3% power consumption. The team aims to optimize recommendation or customer notification by not sending entertainment information during work or not sending business information after work. This Rei Frontier’s app allows users to monitor the fuel efficiency of their car on mobile. SilentLog Analytics has two types of use cases: One is the public type offering an SDK (software developer kit) to mobile apps for consumers, and the other one is the private type for corporate users for their internal business use. Diversified in many fields, examples include integration with a health promotion app, a fleet management app as well as predicting how people move in town especially in the event of a disaster. Since Mobility Business Unit I of Mitsui & Co. has railway companies, transport functions at mines and other assets in the overseas, Rei Frontier says they can expect to achieve a good result of the collaboration in the mobility sector. SilentLog Analytics has expanded into the European Union and UK markets where GDPR has been effective and requires businesses strictly comply with local regulations on information handling. Rei Frontier CEO Kenshi Tamura told The Bridge that facility investment in such overseas markets is one of the reasons why they have decided to raise funds at this time. 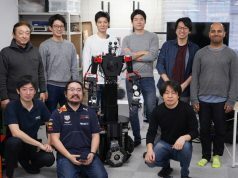 Rei Frontier was chosen for the third batch of Tokyo Railway’s accelerator program back in 2017, won the Spring Up! 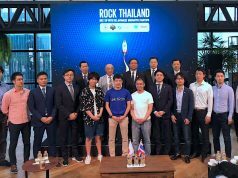 sports-focused accelerator program by Japanese system integration company TIS back in 2018. 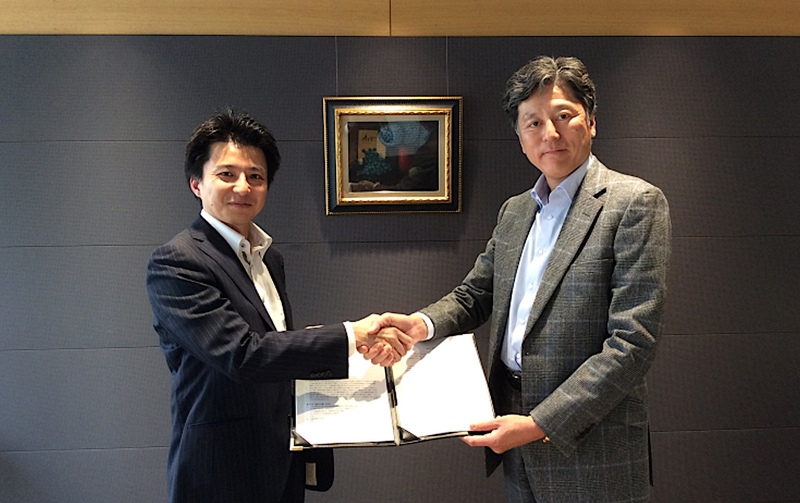 The company raised an undisclosed sum from Adways and Inclusion Japan back in April of 2015, subsequently an undisclosed sum from Mizuho Capital and IID (TSE:6038) back in August of 2016, and also 140 million yen ($1.2 million US) from Iwagin Jigyo Sozo Capital and Energy & Environment Investment. Their potential competitors include Sentinance (Belgium), Anagog (Israel), SafeGraph (US) and Factual (US), but there is no dominant player yet from the technology and data volume perspective. Our readers may recall that Tokyo-based VC Global Brain-backed startup Near, previously called AdNear and originated from India, has expanded into the Japanese market.